Scraping the bottle of the barrel here but curiosity got the better of me on a recent trip to Aldi. Not a shop I visit very often as it is the worst of the discount stores here mainly because it has not adapted to Denmark and the local produce however I am a big fan of their imported Nurnberger sausages, brilliant for the barbeque ! Walking up the small discount beer laden aisle I spotted these two in PET bottles. Both with German labels but on closer inspection there is a catch, one is actually brewed in Belgium. So, how good or bad can these be ? Light wafts of banana, wheat, fruit and cloves from the pour. 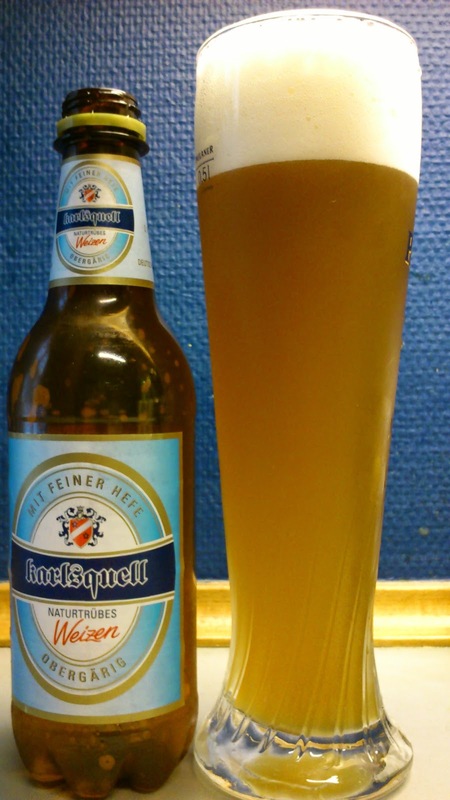 Karlsquell Weizen pours hazy orange with frothy white head. Moderately sweet and fruity intake with wheat, banana and just a faint touch of cloves while the finish is with a dry and sour citric bitterness. Not a lot going on in the short aftertaste apart from some mild citrus and cloves. Lively carbonated and the mouthfeel is light and watery. Not the worst wheat beer I have drunk and a bit better than I was expecting. A bit too lively in the carbonation department for my liking and I did not really like the sour finish. Not one I would buy or drink again. Summing up, it is drinkable but that's about it. This scored a generous 3/10 on the 'well, that's my first wheat beer from a plastic bottle' Beerometer. Lights aroma of malt, herbs, hay and wet cardboard. 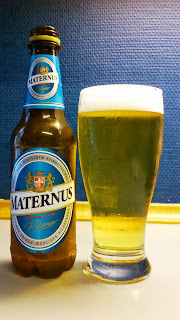 Maternus pours a very pale urine yellow with a washing up liquid white head. 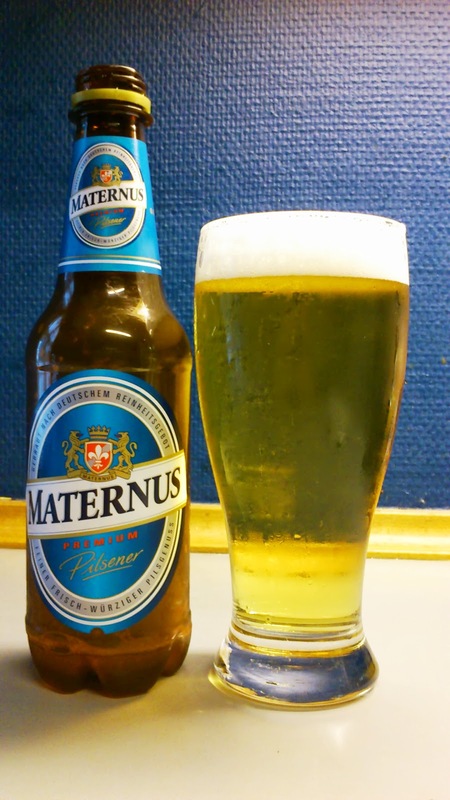 Malty and very grainy rough intake with wet cardboard and herbs. The finish is lightly bitter some faint hops. Next to no aftertaste apart from a little of the weird hops/herbs lingering. Thin bodied and watery in the mouthfeel. It is drinkable but I am not that impressed with this. I like the herby profile which at a good stretch almost reminds me of a Jever or Dithmarscher pils. I don't know where the Czech bit comes in as to me it tastes like a very cheap version of the two afore mentioned pilsners. Not one I would bother buying or drinking again, at this level I would rather have a Perlenbacher from Lidl for a cheap German pils. Summing up, thank f... I only bought one. This scored 2/10 on the 'that's not discount, THIS is discount' Beerometer.